Who said the Leaf wasn't fit for taxi duty? 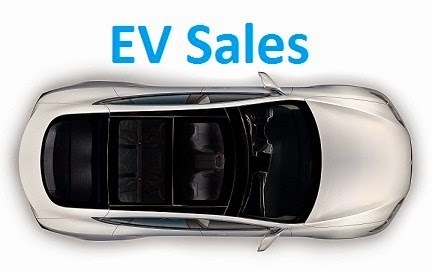 EV Sales continue on fire, with sales up 96% to 229 units, with the EV Share now at a record 0.87%, with YTD sales counting 1.382 units, already beating last year record of 1.305 units, AND with an extra three months to go, we could witness this market reach 2.000 units in one year, for now the total fleet of plug-ins is close to 4.000 units. With four five six leadership changes this year and three different models passing by the leadership, this is turning out to be one of the most entertaining rankings to look at, with September being no exception, due to a record month from the Nissan Leaf (53 units, stock selloff? ), Portugal's favorite EV (240 units this year, new yearly record, in a total of almost 700 stock) returned to the leadership, displacing the Mercedes C350e (18 units) back to #2, with the Bronze medalist Outlander PHEV also off to a good result (36 units, best score since January, representing 80% of all Outlander sales), the podium places are still open to discussion. The BMW i3 also had a brilliant result, with 27 units, all of them being BEV's, while the BMW 330e has beaten (Again) its personal best, registering 19 units, while the V60 Plug-In registered 16 units, representing 38% of all sales of the Volvo wagon. In the manufacturers ranking, there's also a close race, with Nissan (19%, up 1%) once again rising to the leadership, followed closely by BMW (18%) and Mercedes (17%). If we combine regular hybrid sales with plug-ins, the usual two (Auris & Yaris) are in front, followed by the all-electric Nissan Leaf and the Outlander PHEV. An interesting quirk of this market is the good acceptance of the Mercedes C300h diesel-hybrid, ending the month in Fifth. The Mercedes C300h must be driven very carfully if you want to go electric and drive more than 20 km/h, even at the parking lot the electric motor is sometimes not powerfull enough. The C350e is a far better deal than the C300h. I'm expecting to see a surge on ZOE sales. This month Renault decided to start selling it with batteries. Finally. The Zoe could be the Best Seller in Portugal, but Renault Portugal and their dealerships do not seem all that interested in selling them. Same for VW. At last, Renault has decided to embrace the EV formula for success with the excellent car the ZOE is. 13 Model S so far this year. I thought it will be higher as only in my county (Ourém), there were three to come this year (the first ones at all), one in May, one in July and the last this September. But I think that with the city of Fátima that is part of our county too and where a lot of wealthy people lives (religious tourist industry with a lot of shops and hotels) we will see a lot of Tesla cars soon, and I'm hungry to see one X in flesh too! I must say it's not a 100% accurate number, as we well know, Tesla does not appear on official stats and i have to rely on back door sources, that might not catch all new registrations. That said, i believe the real number of first time registrations shouldn't fall that far from this number, what is also happening are used imports, from Norway, Netherlands, etc, which are inflating the total number of Teslas in Portugal. So, Ourém a hub for Teslas...Got to go there one of these days, funny it happens so close to me and i only see them in Lisbon, Leiria, Porto and their suburbs.